Make a unique addition to your accessory collection by adding this golden finish appealing long necklace set from the stock of Anuradha Art Jewellery. 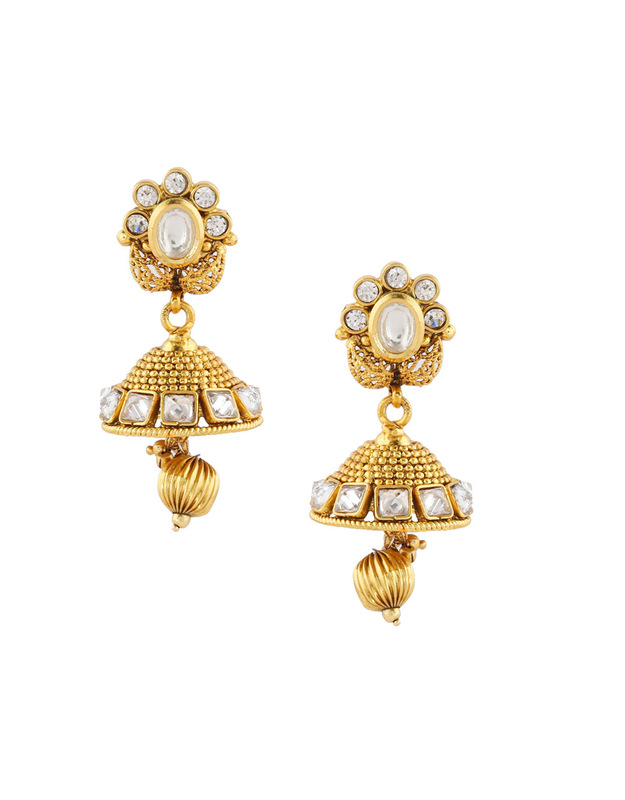 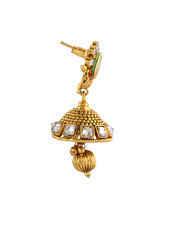 It is studded with sparkling white stones and feature eye-pleasing intricate carving design on metal surface. 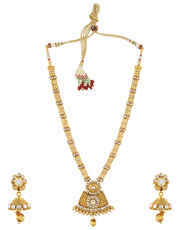 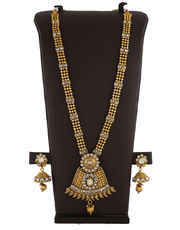 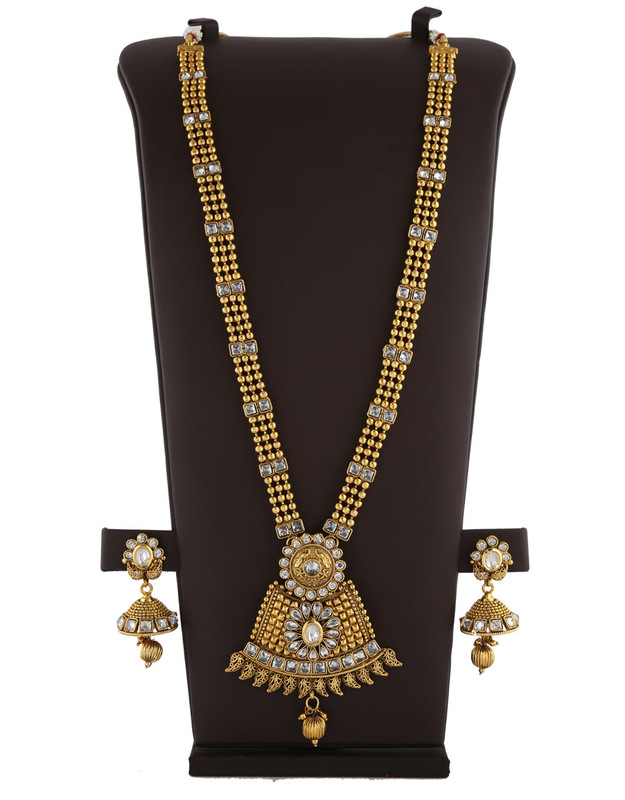 This appealing long necklace set is high in quality and will be your fashion companion for many years.